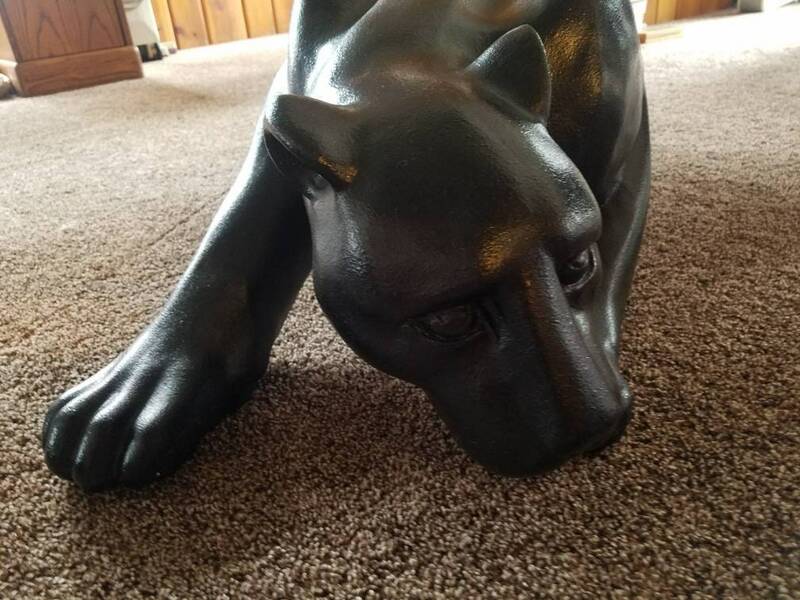 Black Panther Table solid black measures 41" x 21" x 13"
Very unique and heavy solid made of ceramic like materials. It's in good vintage condition with a few touched up areas only noticeable if you really look for them. Moon Over Barn, Original Oil, 24" x 20" x 1/2" Unframed with painted edges.